Formulated for hair that is dry or sensitive and lacking in hydro-lipids such as coloured, bleached, chemically treated hair. Apply to damaged lengths and ends before colour application. Can be layered with other products, for example, E-Line Volume Spray, Capilo Carthamus Light Cream or Densi-Mousse. Quino Moelle is a protein treatment. 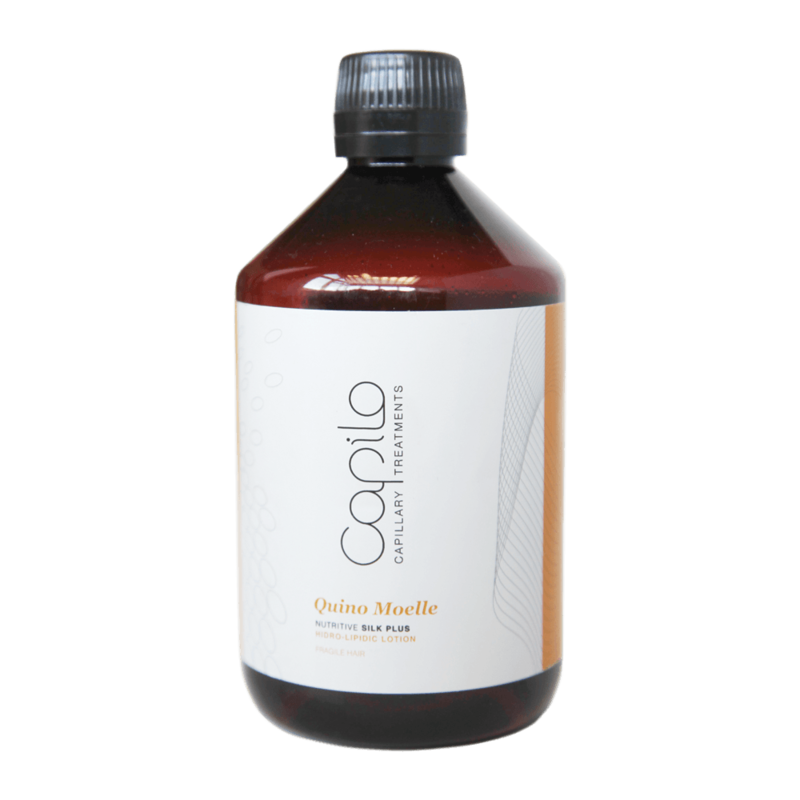 If you mix a small amount of both Quino Moelle and Vitamin Recharge OhLaLa together and apply to freshly washed hair as a leave-in Treatment, it will help add both protein and moisture to the hair whilst protecting the hair fibre.